The Audubon Society of the Capital Region is excited to announce that they are launching a citizen science Bald Eagle Watch program in 2017. Now brought back from the brink of extinction, the State of New York has played an important role in Bald Eagle conservation. There are now there exists over 200 nesting pairs in the state! This nest watch program is intended to provide continued support in the effort and protect our national symbol. The citizen scientists would monitor/collect data on a nest(s) around the Capital Region for a minimum of one hour a week starting in February 2017 and running till the eaglet(s) fledge (usually June/July). Volunteers would be recording behaviors, productivity of the nest, and reporting any disturbances at the nest. A good set of binoculars is required and a spotting scope is recommended. Training meeting will take place in January and will be announced soon. No experience is necessary. If you are interested in volunteering contact Drew Cashman, Bald Eagle Watch Coordinator at ASCRBEW@gmail.com or at (401) 439-9204. In July 2011, Board Members of the Audubon Society of the Capital Region met with leaders from the Agricultural Stewardship Association, Friends of the Washington Co. Grasslands IBA, Southern Adirondack Audubon Society and the Hudson Mohawk Bird Club to discuss grassland bird conservation in the Capital Region/Glens Falls area. Since then ASCR has investigated the need for conservation action and citizen science initiatives in the grassland areas of our area. This past summer of 2012, ASCR Board Member Dr. Jerram Brown conducted a field survey of grassland speices at Thacher Park. His report can be obtained by contacting the chapter. 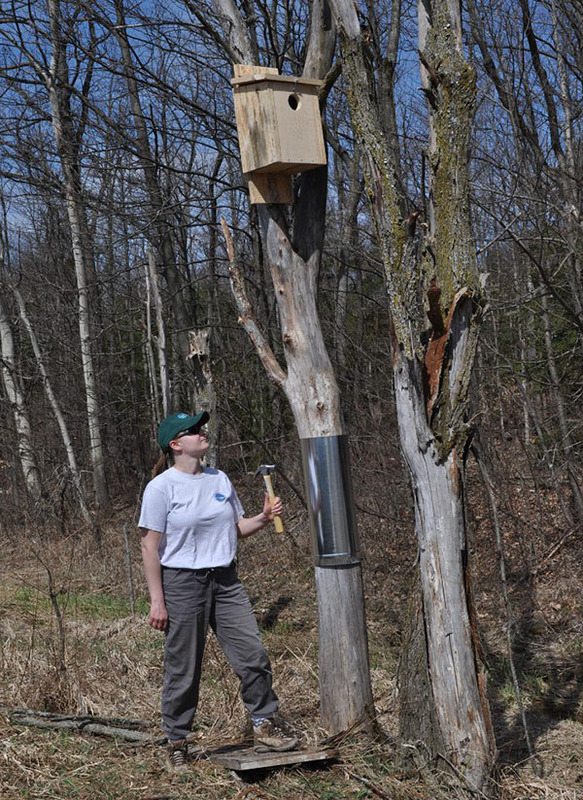 Prior to the 2012 breeding season, with the assistance of Marcelo del Puerto of DEC, ASCR built and placed 6 kestrel nesting boxes in grassland areas west of the Capital Region. Six more boxes are planned for 2013. We are grateful to the Capital Region Woodworkers Association for donating the wood for the boxes.This statewide initiative was begun by Audubon NY several years ago. Since that time, many chapters have placed boxes around New York State with encouraging results. To learn more about this project, go to: http://ny.audubon.org/BirdSci_AmericanKestrelProject.html. As part of the AUDUBON IN THE PARKS! program, ASCR is collaborating with Audubon NY and NYS Parks to gather data on the birds of Schodack Island State Park. 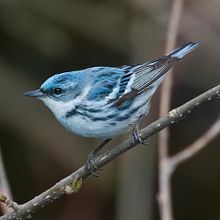 We are particularly interested in the status of the cerulean warbler, a species of special interest within the Atlantic Flyway migratory area. The cerulean warbler is a beautiful blue, insectivorous bird that forages in the open spaces beneath the canopies of mature deciduous forests. This species hasbeen declining at a rate of 4.5% per year due to habitat destruction and is on Audubon's watchlist. This past summer of 2012, ASCR Board Member, Eric Latini, worked with Audubon NY staff and a biologist from NYS Parks to gather baseline data for the cerulean warblers of Schodack Island, since they are known to breed there. He heard singing males on 7 occasions and had 3 sightings.